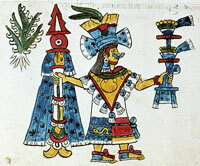 The Cordrys suggest that the word quechquémitl comes from the Náhuatl quechtli (‘neck’) and quémitl (‘garment’). Patricia Rieff Anawalt, in her scholarly work Indian Clothing Before Cortés (1981) suggests quechtli and quemi (‘to put on a manta or cape’). The general idea is clear. 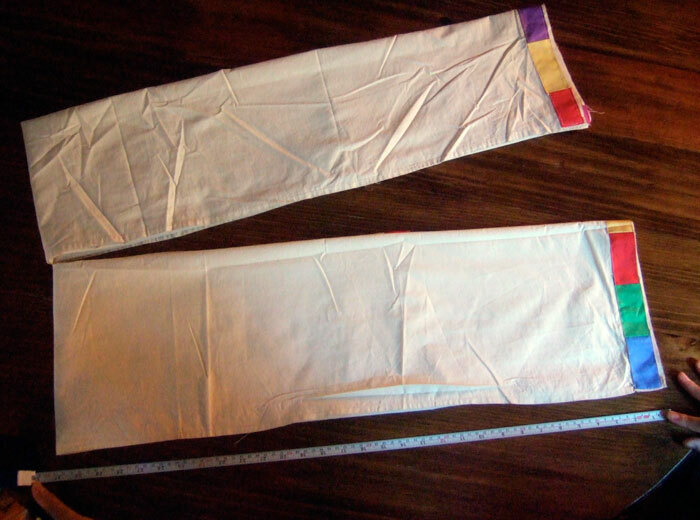 The quechquémitl could be worn either as the sole upper-body garment, or over another costume item. 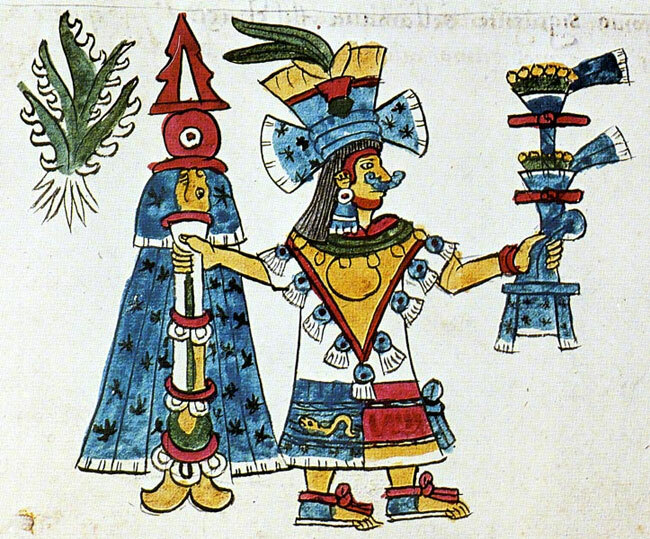 When depicted in the codices, the quechquémitl was only shown worn by goddesses and in ritual contexts, and so it’s believed to have been an item of special-purpose clothing in pre-Hispanic days. STEP 2. 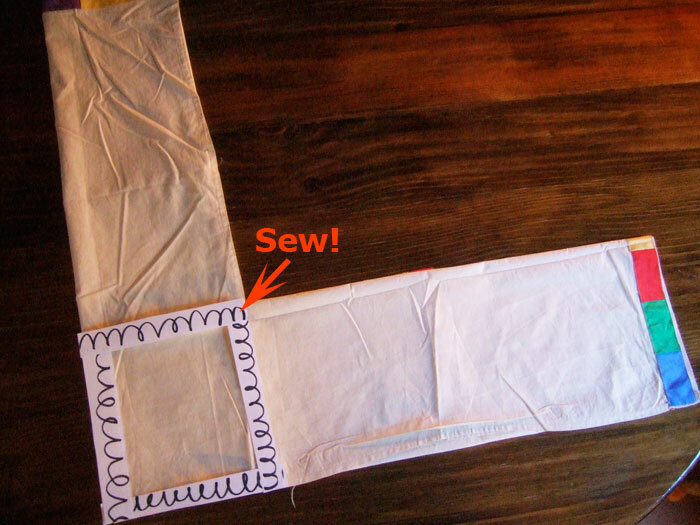 Place the end of one of the pieces of material over the end of the other piece, at right-angles, and sew the two pieces together, as indicated (see Pic 4). STEP 3. 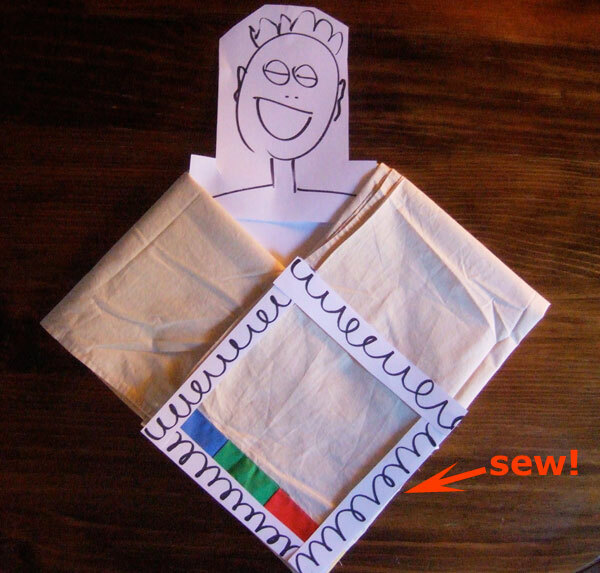 Fold the loose end of the first piece of material (on the left) back over itself and lay it over its other end (ie you’ve folded the first piece in half) - see Pic 5a. NOTE! Notice the position of the hand underneath. STEP 5. 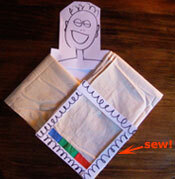 Sew the TOP TWO folds together (NOT the whole garment - remember where your hand was in Steps 3 & 4? It was in between the bottom and top layers.) (See Pic 6). 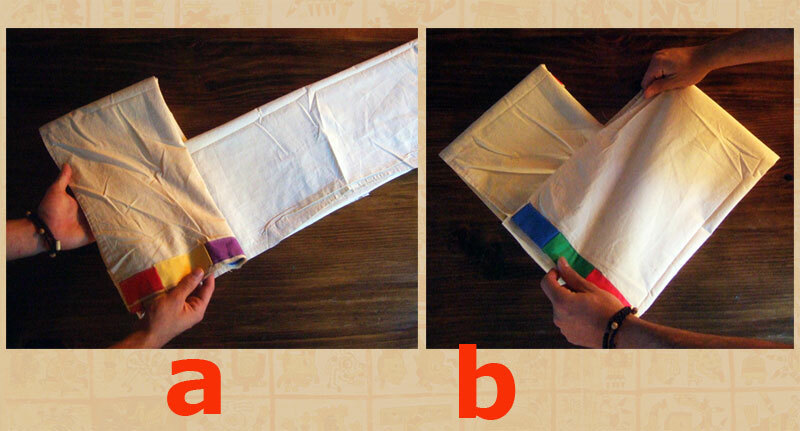 You may like to turn under or sew the raw edges at the neckline and bottom of the quechquemitl. You can also add fringe here if you like. 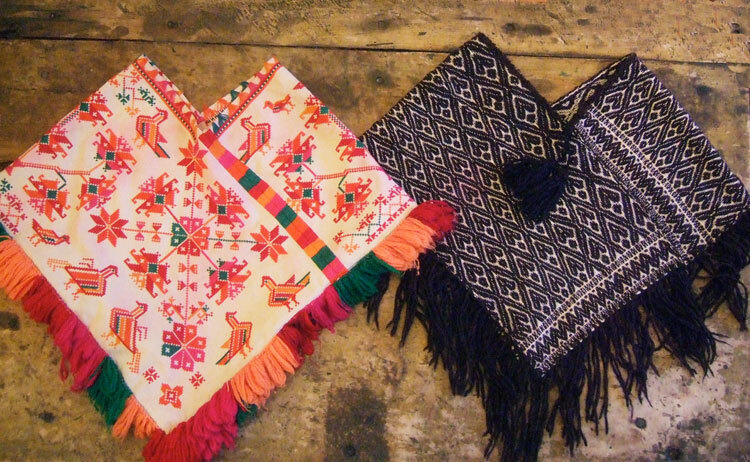 You should advertise rebozos especially from native communities throughout Mexico & central America.